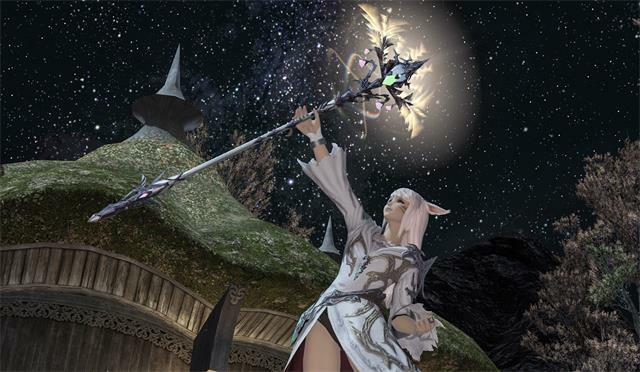 White Mage is one of the three healers that is available with the other two being Scholar and Astrologian. White Mage is able to heal, buff and revive their allies. They upgrade from the class Conjurer after leveling up arcanist to level 15 and complete the Conjurer story line. This page will bring you some tips to help you optimize the healers. Nanaki A11 and Polka A10. CPM stands for Casts Per Minute and represents how many actions they've taken over the course of the duration of the fight. Compare their numbers to those of a lower caliber WHM. 25.0+ on A10 and 24.0+ on A11 are where all the top tier WHMs are. These two are both eclipsing 27. This means they are eliminating gaps in between their GCDs and making full use of their oGCDs. They are using instant cast spells such as Aero, Regen, and Swiftcast while moving to further maximize their casts. Also, take note of how frequently they use Fluid Aura. It's free damage so take advantage of it as often as possible. Maybe you don't have to look at FFLogs to get more dps. Good MP management also means making sure you're squeezing maximum value out of your MP pool. A marathon runner doesn't finish a marathon with gas left in the tank. If you maximize casts, you're also going to consume MP at a faster rate. On top of that, WHMs have the worst MP economy out of the three healing classes. This places even more importance on healing efficiently and using the most efficient healing spells (from both the WHM and the co-healer) to carry most of the healing load, allowing more MP to be spent on damage. Their combined Overheal% is relatively low on each given fight. Compare to other healing duos on the same fight. Beyond that, a basic and flawed Healer DPS mentality that is commonly employed is the "Main Healer / Off Healer" model. The premise is that the "Main Healer" takes as much of the healing responsibility as possible and uses Cleric Stance only when there is no healing to be done. Meanwhile, the "Off Healer" focuses on DPS while helping out the Main Healer only when needed. This healing model is suboptimal and limits the amount of combined healer DPS you can do. A better method is a team HPS/DPS approach where the healers are prioritizing their most efficient heals. Embrace, Whispering Dawn, Asylum, Tetragrammaton, Benediction: these are heals that don't cost MP and don't take up a GCD. Medica II and Regen are the most MP efficient and cast-time efficient GCDs. At any time those heals aren't enough, that's when the Cure IIs, Adlos, Medicas, Succors and Indoms step in. Also, these WHMs heal in such a way that they don't need Assize for healing and can exclusively use it for damage. It is not just about the healers. Hope players who are looking for healers optimization can feel fine with these tips. Perhaps you get another tips for yourself. If you can't farm enough gil in the game, then you can get enough FFXIV gil as you wish on the premise that we have enough stock. You can also take a view of the game news although it is not professional.